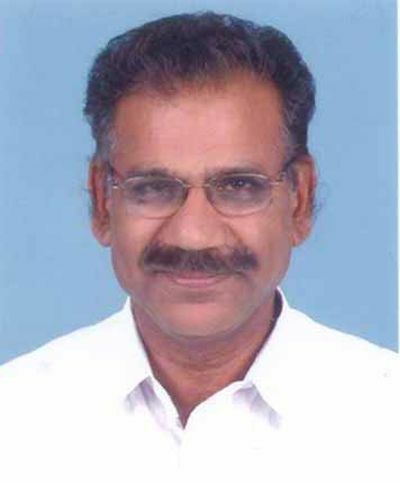 A local court on Saturday acquitted Nationalist Congress Party MLA and former Kerala transport minister A K Saseendran of the sexual harassment charges levelled by a woman journalist. With the chief judicial magistrate's court in Thiruvananthapuram acquitting him, the way has been cleared for Saseendran's re-induction into the Communist Party of India-Marxist-led government headed by Chief Minister Pinarayi Vijayan. The court acquitted Saseendran holding that no case had been made out against him that warranted conviction. The case, an off-shoot of a sleaze audio tape row involving Saseendran and the woman, had taken a new turn with the latter reversing her statement in court that he had misbehaved with her. She had also stated during cross examination that she was not sure about whether the 'person on the other side of the phone' was Saseendran. In a related development in the case, a public interest litigation was filed in the court this morning stating that the woman journalist might have reversed her statement due to 'fear' and that the proceedings should not be closed. The chief judicial magistrate rejected the plea, stating that it was a matter between the two persons and a third person cannot interfere into it. Mystery also surrounded the PIL as there were reports that the address of the petitioner given in the plea was not correct. The case was registered against Saseendran after the woman filed a complaint, in which she stated that he had misbehaved with her when she met him for an interview at his office. Saseendran resigned as minister in March 2017 and Thomas Chandy, the other MLA of the party, replaced him as the transport minister. However, Chandy also had to resign in November 2017 after allegations of land encroachment surfaced against him. The NCP state leadership had then taken a decision that whoever comes clean of charges first would become the minister again. Expressing happiness over the verdict, Saseendran said he would abide by the party leadership's decision. Saseendran ran into trouble after a Malayalam TV channel aired a purported sleaze audio of him in conversation with a woman, who was later identified as the petitioner journalist. The channel had later tendered an apology admitting that it had conducted a "sting operation" involving one of its women journalists and not a housewife, as claimed earlier. The Justice P S Antony commission, which went into the allegations against the former minister, had in its report submitted to the government in November last year stated that it could not ascertain the authenticity of the purported voice clip of Saseendran. The Chief Executive Officer of the channel and four mediapersons were arrested in connection with 'sleaze audio' case and were now out on bail.